Medical research lends support to the idea that non-celiac gluten sensitivity is a real condition. However, not all physicians agree on its existence, and there's no consensus on how to actually test for gluten sensitivity. So if you suspect you might have gluten sensitivity, where does that leave you? You actually have a couple of options that might shed some light on your condition, including one option for a test you can obtain yourself without your physician being involved. None of these options will prove definitively that you have gluten sensitivity—and they probably won't provide a diagnosis your doctor will accept. However, these gluten sensitivity tests may provide you with evidence that your body is mounting an immune system response to gluten... which may indicate a gluten-free diet could help control your gluten sensitivity symptoms. One caution: most physicians recommend you undergo celiac disease testing first if you suspect you're reacting to gluten. Still, if your celiac disease test results are negative (or if you decide not to undergo full testing for celiac), you might find these gluten sensitivity tests to provide useful information. 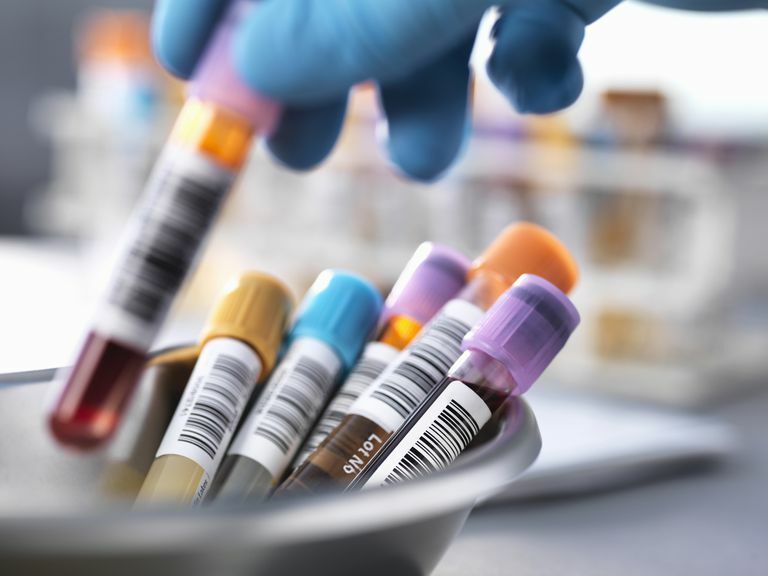 Before performing the endoscopy and biopsy to diagnose celiac disease, physicians generally use a panel of celiac blood tests to look for the antibodies that signal the condition. There's some evidence that two of those tests—the AGA-IgA and the AGG-IgG—could indicate non-celiac gluten sensitivity. AGA stands for "anti-gliadin antibodies," or antibodies your body makes against gliadin, a part of the gluten molecule. IgA and IgG are different forms of immunoglobulin, antibodies made by your body to fight foreign invaders. If AGA-IgA or AGA-IgG are present in your blood, it means your body is making antibodies against the gluten molecule—in other words, it views the molecule as a threat. Elevated AGA-IgG levels are found in about 10% of the overall population and frequently are seen in other autoimmune diseases, such as type 1 diabetes, autoimmune thyroid disease, autoimmune hepatitis, and inflammatory bowel diseases. Gluten sensitivity research published in 2011 by the University of Maryland's Center for Celiac Research found that almost half of diagnosed gluten-sensitive patients tested positive for AGA-IgA or AGA-IgG, indicating their immune systems were reacting to gluten. Other physicians, including pediatrician and gluten sensitivity researcher Dr. Rodney Ford in New Zealand, also use the AGA-IgG test to screen for gluten sensitivity. However, Dr. Alessio Fasano, head of the University of Maryland research center, told me in an interview that the AGA-IgA and AGA-IgG blood tests only serve "as surrogates. There's no specificity there." The fact that about half of gluten sensitivity patients tested negative for AGA-IgA and AGA-IgG antibodies makes those two tests much less useful as tests for gluten sensitivity, he says. Some patients who believe they're reacting to gluten turn to EnteroLab gluten sensitivity testing. EnteroLab, a Dallas-based medical laboratory specializing in the analysis of "intestinal specimens" (i.e., stool samples) for food sensitivities, offers a direct-to-consumer screening test for gluten sensitivity, and many patients have reported relief from their gluten sensitivity symptoms after having a positive test and subsequently removing gluten from their diets. However, EnteroLab's testing protocol, developed by gastroenterologist Dr. Kenneth Fine, has yet to undergo outside scrutiny and verification, and Dr. Fine has come under considerable criticism from other physicians and from people in the celiac/gluten-sensitive community for failing to publish his research and results. Consequently, few physicians will accept EnteroLab testing as proof of gluten sensitivity. Enterolab's stool testing looks for antibodies to gluten directly in your intestinal tract. Dr. Fine told me in an interview that this approach looks for the antibodies where the actual reaction is taking place—in your intestines—as opposed to in your bloodstream, where they may be less concentrated. He also said it's ridiculous to think gluten, which he believes is a powerful antigen, only can cause celiac disease, and not other symptoms unrelated to celiac's villous atrophy. What Can You Do Now to Test for Gluten Sensitivity? At the moment, those physicians who are diagnosing gluten sensitivity may do so based on results from the AGA-IgA and AGA-IgG blood tests, Enterolab testing, or diets that exclude and then reintroduce gluten. None of these options has been validated by independent research. However, testing for gluten sensitivity is in its infancy at the moment. If medical researchers prove to their satisfaction that the condition does exist, it's likely that better, more accurate options will be developed in the future. J. Biesiekierski et al. Gluten Causes Gastrointestinal Symptoms in Subjects Without Celiac Disease: A Double-Blind Randomized Placebo-Controlled Trial. American Journal of Gastroenterology. Published online Jan. 11, 2011. doi: 10.1038/ajg.2010.487. A. Fasano et al. Divergence of gut permeability and mucosal immune gene expression in two gluten-associated conditions: celiac disease and gluten sensitivity. BMC Medicine 2011, 9:23. doi:10.1186/1741-7015-9-23. E. Verdu. Can gluten Contribute to Irritable Bowel Syndrome? American Journal of Gastroenterology. March 2011, pp. 516-518. Do You Need Specific Genes to Have Gluten Sensitivity? Wheat vs. Gluten Allergy: Which Do You Actually Have?